IMPARTIAL FEEDBACK IS VITAL. WE HAVE IT HERE IN SPADES! IT IS ALWAYS IMPORTANT TO WORK WITH A COMPANY THAT YOU CAN TRUST. AT LIMECHILLI DESIGN, WE HAVE BUILT UP AN ENVIABLE REPUTATION WITH 90% OF OUR NEW WORK COMING FROM RECOMMENDATIONS. Lime Chilli is the biggest secret ever! Creative and intelligent solutions at the most affordable fees. It is a pleasure to work with this agency. Exceptional. Always great working with Lesley. Very professional, quick, and lovely designs. Great quality, value and efficiency. We have used Lime Chilli for a number of projects, as part of an ongoing relationship. They seek to understand the needs of the customer, then deliver efficiently. The level of service offers very good value for money. We keep going back for more..that’s how good Lime Chilli Design are. We have worked with Lesley and the team at Lime Chilli Design for a number of years across multiple projects. The fact that we keep going back to Lime Chilli Design and I have recommended them to other people on many occasions is a testament to the calibre of their work and their customer service. I highly recommend Lime Chilli Design. Great strenghts. Excellent interpretation of our requirements and speedy and efficient turn around. Excellent Graphic Designer. I have used Lesley for a number of projects from design and print to redesigning my entire website and I am always pleased with the quality of her work. Lesley takes the time to understand my specific needs and objectives and always delivers on the various projects I have instructed her on. Lesley now has the sole instruction of all my marketing for my estate agency brand. Lime Chilli Design are excellent. 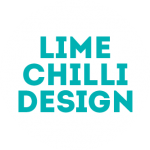 I have engaged Lime Chilli Design for logos, illustrations, editing photography, retail packaging design, email templating, website design and hosting. I have been highly impressed with not only the end results and pricing but with their understanding of each project brief, their creative suggestions, flexibility, attention to detail, quick turnaround times and adherence to budget. Lime Chilli Design is everything I want in a design company and would have no hesitation in recommending them and engaging them again in the future. Exacty what we needed! We can’t recommend Lesley highly enough! Fast, efficient and throughly professional. Lesley is very creative, fast and easy to deal with. Lesley is spectacular. I wouldn’t trust anyone else with my company website or design. I have always found Lesley to provide a high quality service. She is cheap, reliable and responsive and creates great websites. I have used her regularly and am always happy to recommend her. Lesley did an excellent Job for me – I’m delighted. She has great skill at understanding the project & the execution was perfectly done. If you’re looking for a really excellent worker, look no further! I really enjoy working with Lesley. She listens well to what we want and need as a business. The products and services that we have recieved have been excellent. We will continue to work with Lesley for all of our marketing requirements. Very down to earth, straight talking and jargon free relationship. Choosing Lesley for my project is up there with some of the best decision I’ve ever made. Not only is she very conscientious about giving you what you want, her input in helping you get there is priceless. I would have no hesitation in recommending her, and will definitely be using her for my ongoing work. Award her you work with confidence! What can I say!! Lesley is amazing to deal with. She understands requirements completely. She is a complete workaholic. Basically, you should not consider using anyone else if Lesley has bid on yourproject. many many thanks! Lesley has been great to work with. She created an excellent logo for me to use and I have already arranged for her to do more to help me build and brand my business. Lesley has done a first class job in double quick time. Her customer service is first class. I would (and will) recommend her services to anyone needing this type of work. What a star!!! Lesley completed this task with a very short notice and delivered exactly what I expected. We will continue working with Lesley. Thank you! Lesley was a joy to work with and has delivered above and beyond our original brief. We love our new stationary and would strongly recommend her as a professional, creative and very able designer. Lesley was fantastic! She was one of the first contracts that we awarded here and she did a great job. Everyone has a hard job to come up to her standards. 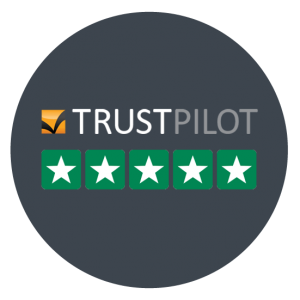 Lesley understood perfectly what I was trying to achieve and delivered the perfect brochure â€“ I am absolutely delighted and I would not hesitate to recommend her to anyone. Lesley has been a pleasure to work with throughout. She listened carefully to my brief and feedback. Very happy with the results. There is only one word for Lesley – brilliant! From start to finish she performed brilliantly and guided me when it was needed (which was often!) but always with professionalism. Thanks Lesley, hope to workwith you again. DO YOU HAVE SOMETHING WE CAN HELP WITH?